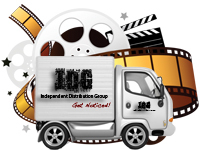 IDG aggregates independent full-length films, short films, television series even music videos for online connected and streaming device exhibition. Our library includes all budget levels in indie filmmaking from experimental/Ultra low (less than 50,000) to high budget indie films (10 Million+). Our distribution channels allow us to reach over 8 million viewers each month. Now there is a place for indie Content Providers around the world to earn money from their content. We license your film on a non-exclusive basis for a period of 6-12 months. We then collect revenue through our relationships with various ad networks and split the revenue with our Content Providers. Our Content Providers start earning money the first day of being added to our catalog. Feature Films, Shorts, Action, Drama, Documentary, Horror, Any Genre, TV series, etc.